Originally a sand and gravel mining operation, the property evolved into an inert landfill and recycling facility operating as a legal non-conforming use. 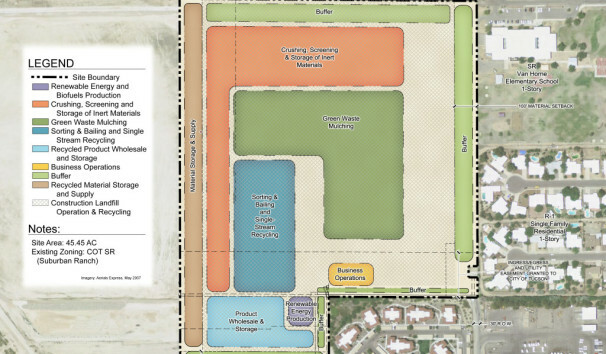 The Planning Center developed and processed a Planned Area Development (PAD) zoning document to establish proper zoning and expanded uses including construction waste recycling, green waste mulching, material sales and excavating, biofuel production and single stream recycling. 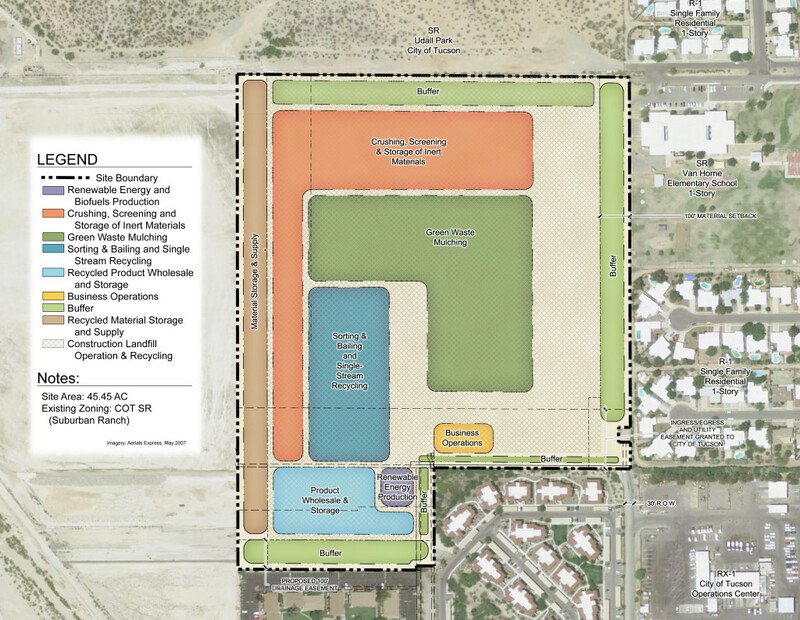 The PAD incorporates proper buffers and setback to adjoining neighborhoods and a regional park. Provisions were made to incorporate a future roadway through the facility to allow community access to the park. An educational component is also include to provide leaning experiences for school children and the general community.